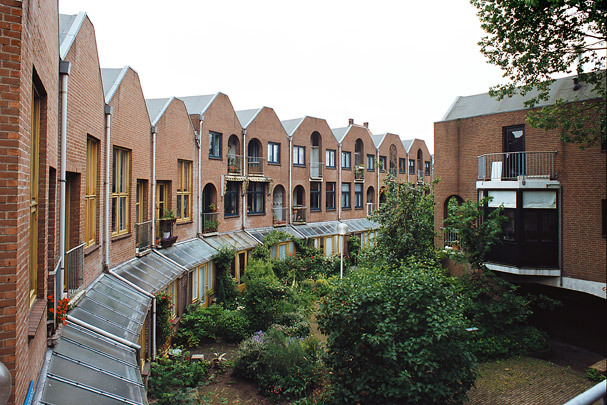 The points of departure for this urban redevelopment scheme were a diversity of functions in the inner city (living and working), a high-density development, and absorption in the existing urban fabric of streets and courtyards. This development geared to its surroundings is marked by brick walls, small windows, wooden window and door frames, concrete elements and above all by its truncated gable roofs. It long served as a model for urban renewal architecture, though usually without its depth in terms of response to context and dwelling type.